There is a big misconception about footballers high salaries and the media around the world don’t clarify the situation as well. Most of the time the salaries which are quoted in the media are kind of misleading as they also include all the bonuses and incentives in the basic salaries which lead to wrong figures. Although clubs don’t reveal the exact figures and the media are just playing the guessing game. For example if a newspaper in england quotes some salary figures it is quickly copied by other news agencies and than it spread on internet without any proof of the figures. So the following figures can not be 100% true because these figures also include bonuses and incentives plus match fee etc. The following figures are what the trusted sources has published in last 6 months, we are going to put together the list of top 10 highest paid footballers in the world, their weekly salaries and how much they earn from endorsement deals. 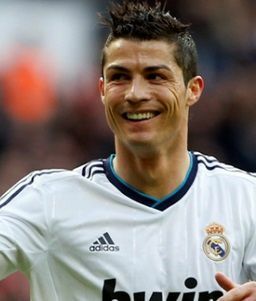 One of the worlds most followed athlete and the proof of that is him becoming the first athlete to reach 100 million likes on facebook, he earns a massive £288,000 a week wages with his current real madrid contract and that is after tax. He also owns 50 percent of his image rights with the club at the same time he has many endorsement deals with major brands like Nike, Coca Cola, Emirates etc. His yearly income from just endorsment deals is somewhere around £15 to £20 million. Ronaldo also launched his very own underwear brand called CR7 which increase him yearly income. 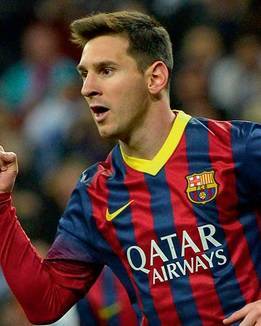 He was in the top 5 of highest paid athlete in forbes money list 2014. Just like Cristiano Ronaldo Messi got a massive pay hike when he signed his recent contract extension with FC barcelona which makes him worlds second highest paid footballer with weekly salary of massive £275,000 which is ofcourse after tax. He also enjoy many endorsement deals with major brands most of are the competitors of ronaldos brand, for example he endorses Pepsi while ronaldo endorse Coca Cola, he has adidas as his sponsor while ronaldo has nike. So they are in competition both on and off the field. 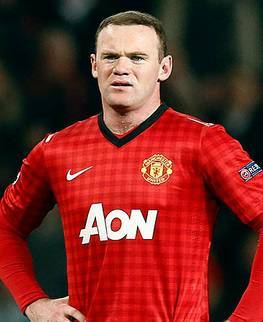 Wayne Rooney is the highest paid footballer in premier league but he comes way short in weekly salary when you compare his numbers with Ronaldo and Messi. Last year Rooney signed contract extension to stay with United which earns him a weekly salary of around £255,000, although his overall stock has come down dramatically after couple of poor seasons with United. Rooney’s major endorsement deal is with Nike and previously he also had deal with EA Sports for their FIFA franchise games. 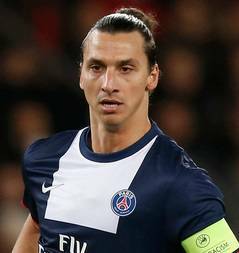 Zlatan Ibrahimovic has been a great player for French outfit Paris Saint Germain but his services comes at a price as he is one of the highest paid players in the world with weekly salary of around £250,000 which is almost equals Wayne Rooney figures. He also enjoy couple of very lucarative endorsement deals, the major one is with Nike but if I am not mistaken he recently signed a deal with Adidas as his Nike deal expired. 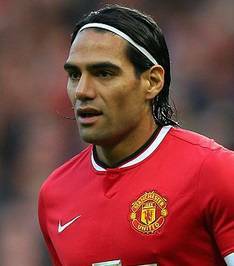 Falcao joined Manchester United in the summer for a record loan deal which will cost United in the region of around £16 million. His weekly salary is the same like Wayne Rooney and Robin Van Persie which is £250,000 a week. Falcao of course has enjoyed successfull stints with FC Porto and Atletico Madrid in the past and he is hoepfull for a permanent switch to United.